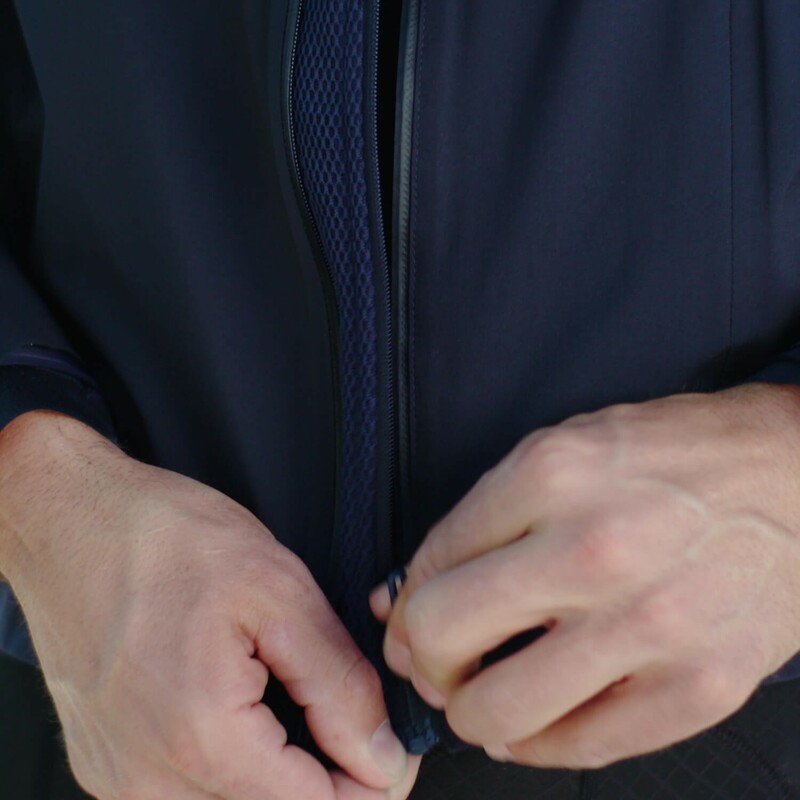 The Wind Protex knit jacket is made of water repellent and windproof Ultra Shell Smooth Knit to keep you comfortable in wet, windy conditions. Its strategically placed Supersonic construction makes seams flatter and lighter, emphasizing the natural stretch of the fabric and creating an extremely stress-free garment. To maximize airflow, the back of the jacket also features laser cut ventilation.